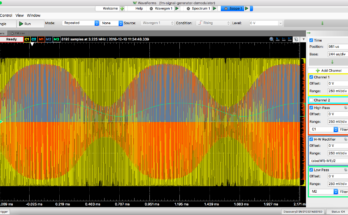 Many of our Analog Discovery legacy users may remember a course called Real Analog. 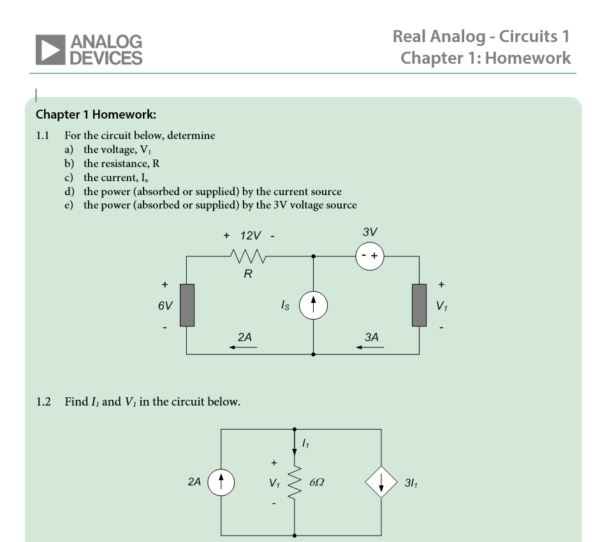 Real Analog is designed as a full course for Circuits 1 in an ECE department… in fact it was the course my professor used when I took Analog Circuits 1! Considering that bit of personal history, its safe to say I’m excited to announce that the full text, lecture videos, and labs of Real Analog has now been released for the Analog Discovery 2. The Real Analog chapter list on the the Digilent Wiki. 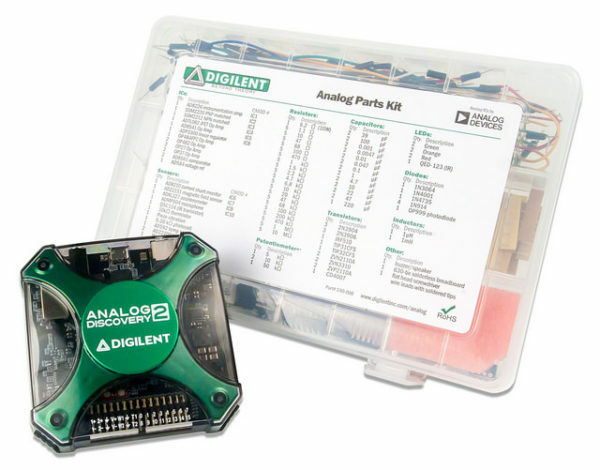 Real Analog provides all the materials needed for a Circuits 1 course. 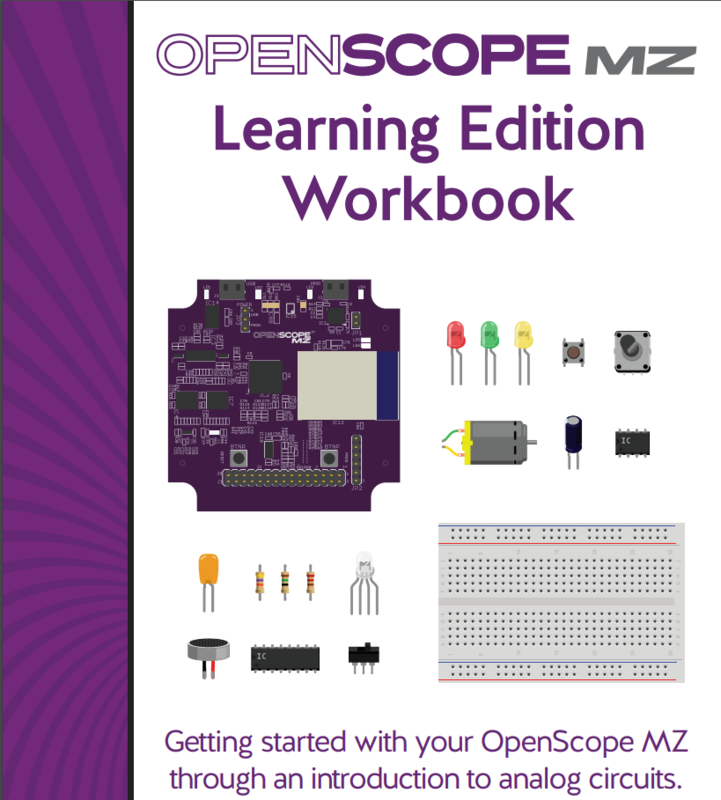 Each of the chapters contains materials including example exercises to serve as the textbook, homework problems, lab assignments, and design projects. 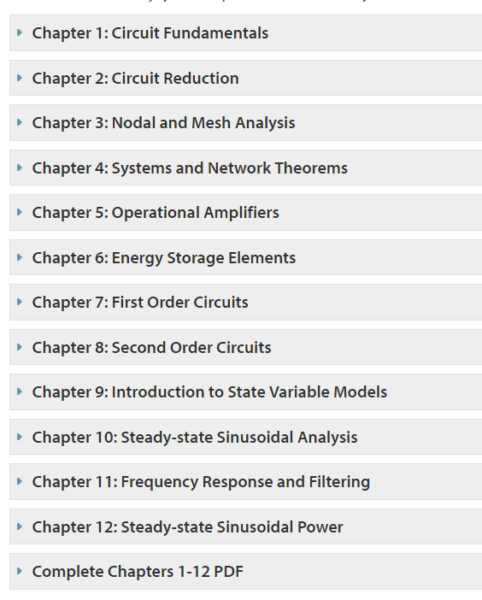 An example list of materials from chapter 2. 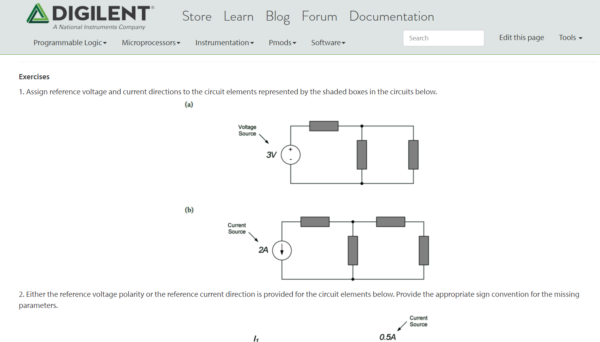 Currently, Real Analog is located on the Digilent Wiki, where you can find the content hosted there, and in the format of downloadable documents and PDF’s. 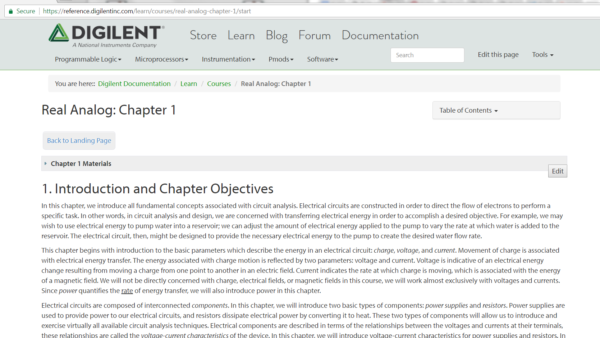 The chapter text (meant to serve as the textbook) is hosted on the wiki in an online format, as well as available as a PDF for download. The text describes the theory and equations that govern the subject of that particular chapter. An excerpt from the text. To periodically test and strengthen student’s knowledge, each chapter contains example exercises with solutions. 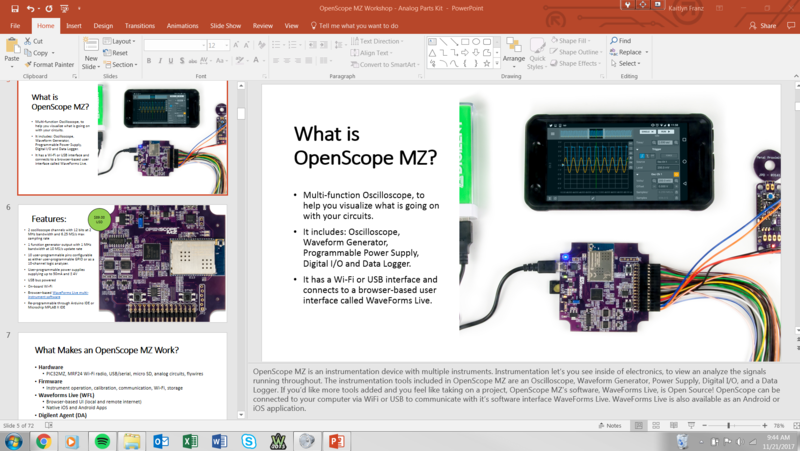 As a supplement each chapter also comes complete with lecture videos and slides. An example of the circuit exercises within the chapter text. To help students practice the theory on their own, each chapter comes with a set of homework problems. 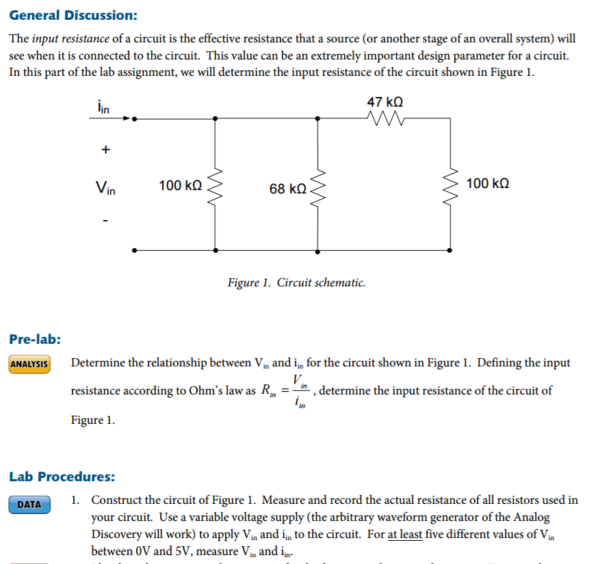 Because learning about analog circuits is not just about remembering theory and equations, each chapter also comes with an associated set of lab assignments and design projects. Each lab is complete with lab instructions, related background content, and worksheets for students to record their design process, and numerical and experimental analysis. An example of one of the lab assignment instructions. All the labs use the Analog Discovery 2 Student Bundle which combines the Analog Discovery 2 and the Analog Parts kit at a discounted price. 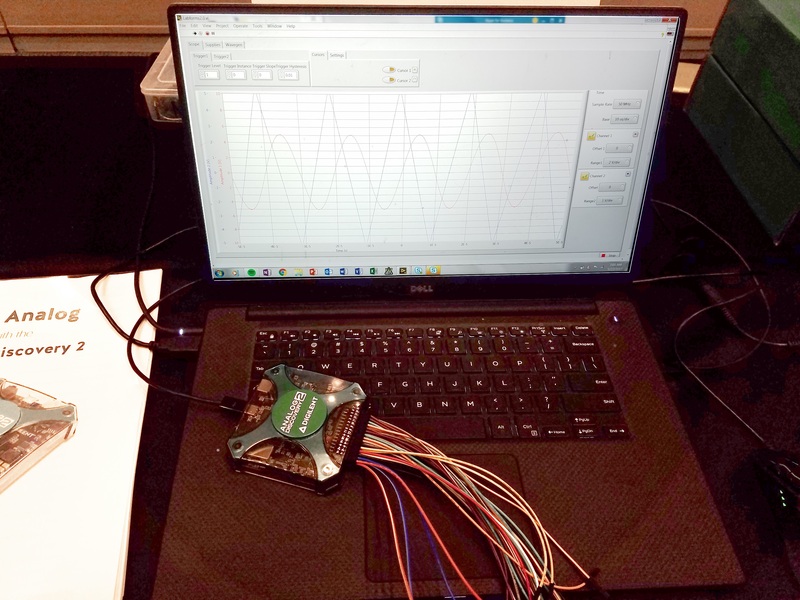 In Real Analog the Analog Discovery 2 is used for its Oscilloscope, Waveform Generator, Power Supplies, Voltmeter, and Network Analyzer, with the availability of the Digital tools for students to use in their other classes. The student bundle which includes the Analog Parts Kit, and the Analog Discovery 2. 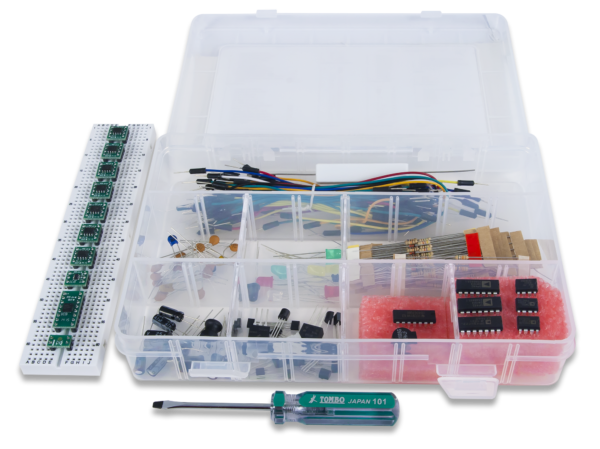 The Analog Parts Kit contains resistors, capacitors, transistors, diodes, sensors and a variety of useful ICs such as op-amps, regulators and more. It also contains a breadboard and enough breadboard wires to get students through an entire course. 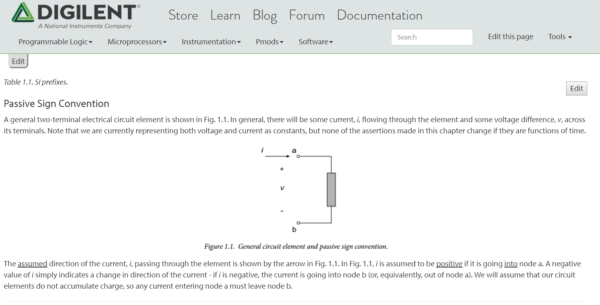 To check out Real Analog go to digilentinc.com/real-analog-circuits-1-course.